With Hidden Noises brings to life Marcel Duchamp's ready-made sculpture 'With Hidden Noise.' This binaural CD documents Holland's 4-channel audio installation of the same name which features a replica of Duchamp's sculpture. The sculpture is outfitted with sensors which translate motion into sound. The CD tracks were recorded 'live' by manipulating the sculpture. 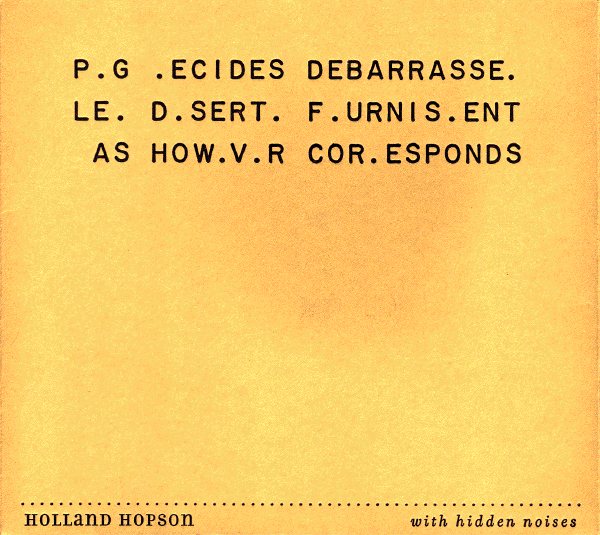 With Hidden Noises is licensed under a Creative Commons Sampling Plus 1.0 License.